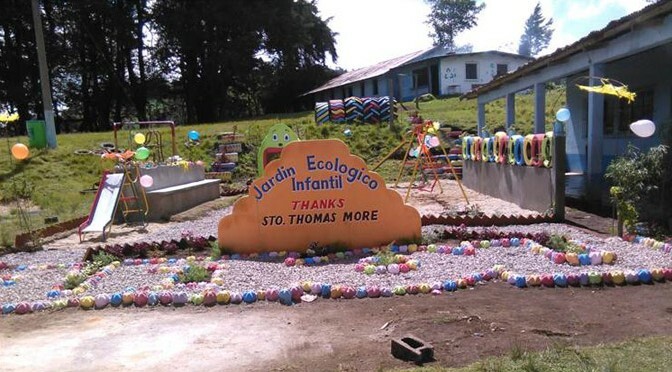 The Saint Thomas More Guatemala Action Group (GAG) works to foster awareness of the needs and values of our sister parish, San Andres Itzapa in Guatemala. Our goal is for both parishes to grow and benefit from our shared journeys of faith. Regular mission trips to Guatemala help foster a relationship with our brothers and sisters there. We helped found a school, Escuela San Bartolome, in San Andres Itazapa in 2004. See menu at right. You can also contact Bill Munninghoff, who helps coordinate mission trips to Guatemala.